We are living in an age where data is exploding at an enormous pace. Every day, we create 2.5 Quintilian bytes of data – so much so that 90% of the data in the world today has been created in the last two years alone. Amidst this massive amount of data, pearls of wisdom lay hidden. From helping companies understand customer preferences to increasing productivity and improving decision making, analyzing these huge data sets gives a competitive edge that is too significant to ignore. In fact, companies that disregard the potential of Big Data Analytics are at risk of being left behind. While many industries are still at the nascent stages of figuring out what to do with the huge amount of data at their disposal, e-Commerce is one industry that is already reaping the rewards of their Big Data initiatives. Major players in this industry rely heavily on business analytics and their team of data scientists to compete in this fiercely dynamic space. Personalized Offers: Analytics is enabling e-Commerce companies to better target their customers by improving search results. Relevant search results ensure that customers are easily able to spot the products that they are looking for, resulting in faster sale. With suggestions like, ‘similar products’, ‘frequently bought together,’ e-Commerce sites display contextual and relevant content to customers. Players also analyze past browsing history to provide accurate search suggestions. 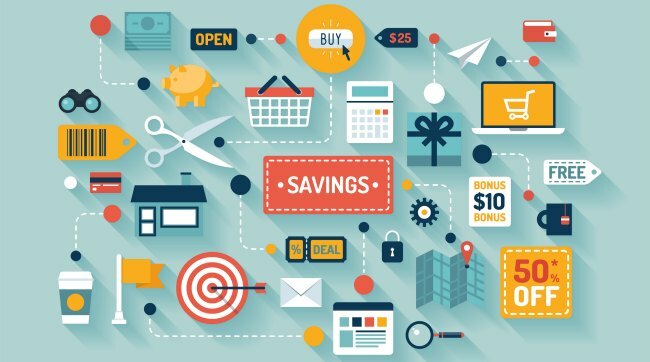 Running Promotions/Big Discount Days: e-Commerce players rely heavily on data analytics for the success of their promotional campaigns and big discount days. Companies turn to data to get answers to business-critical questions like when to run a promotion, how to segment customers, and more. A case in point is Snapdeal, which witnessed a 9-fold increase in sales volume on its Unbox Diwali Sale by using business analytics. Inventory Management: Real-time analysis of data empowers e-Commerce firms to better manage their inventory. They use predictive analytics to understand which products will not see an immediate sale and adjust their inventories accordingly. This helps them allot their funds in purchasing products that are more in demand, in turn increase profits. Analytics thus helps e-Commerce firms handle their biggest pain-point: Overstock. Take, for instance, Flipkart, which has improved its inventory utilization by 5% by using analytics in its day-to-day operations. Optimize Pricing: As e-Commerce is an extremely competitive space, players need dynamic pricing to ensure more sales and profit. Major players analyze factors like competitor pricing, available inventory, customer activity, etc. for real-time pricing. While the e-Commerce sector is reaping the early-mover advantage of Big Data Analytics, it has only touched the tip of the iceberg in terms of benefits. Other sectors too are taking a cue from successful user cases in e-Commerce to intensify their Analytics initiatives. Building a team of skilled and certified data scientists has thus emerged as a top priority for companies to survive in this fast-paced environment.